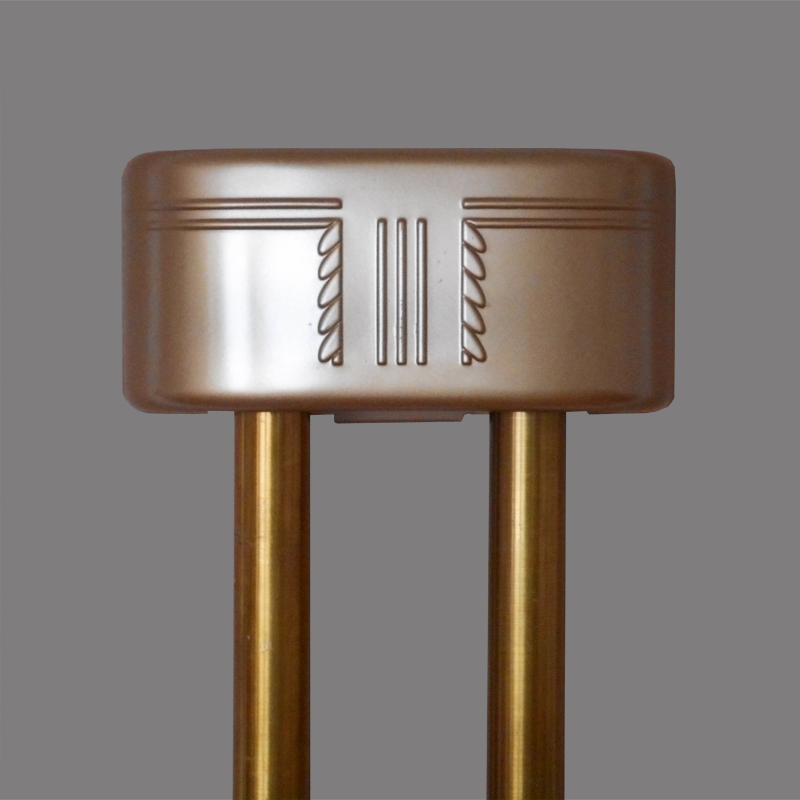 This modestly styled chime was part of Edwards‘ Leader Line of Chimes. This chime rings two notes for the front door and a single note for a second door. Available with a Bronze painted shield as the Model 534 shown here or in Ivory as the Model 568. These color variations were also available with the facility to ring only two notes for a single door as the Model 535 and 569 respectively. 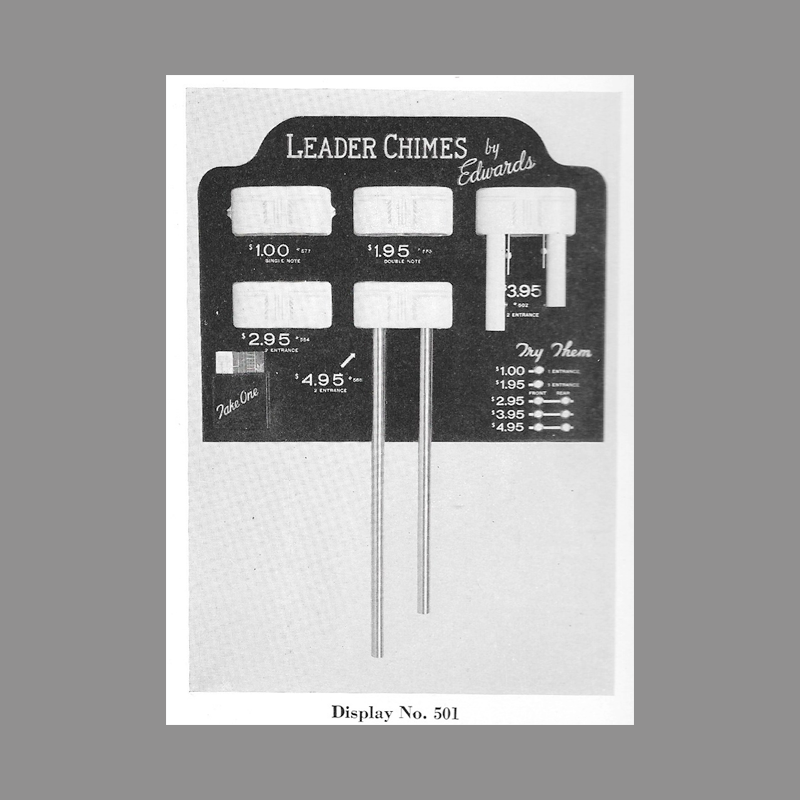 A high quality “price leader” chime line for the Edwards dealer. In design, beauty and operation, it surpasses all the “bargain price” chimes on the market. All models operate from standard bell-ringing transformers. Full size tubes and bars; excellent resonance and tone. This line DOES NOT replace nor eliminate the full STYLED LINE described in bulletin 103 for which there is an ever increasing demand. 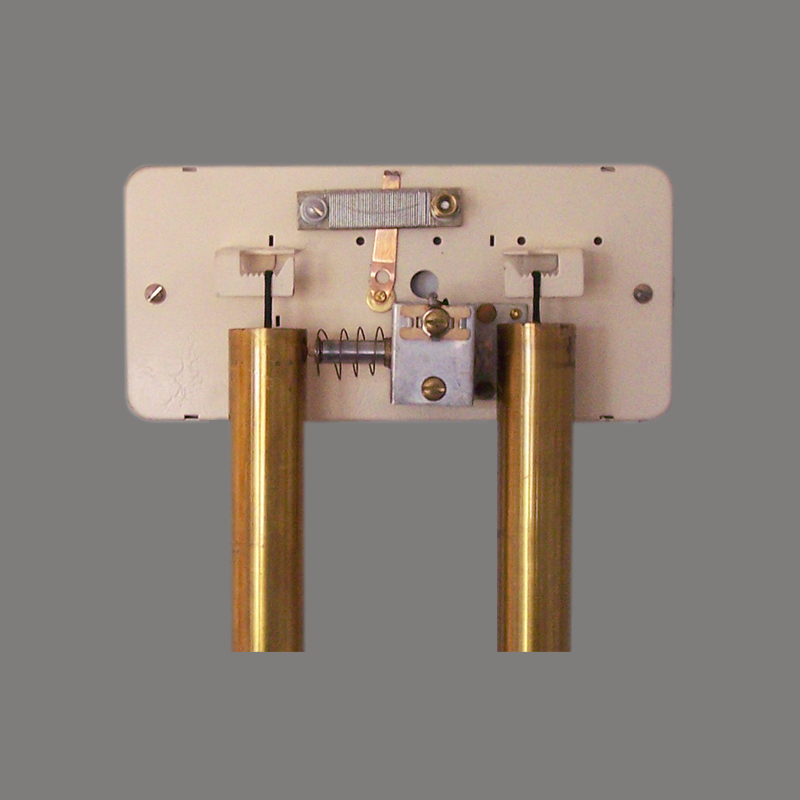 Although priced at only 60% of contemporary similar models from Edwards, Leader Chimes were well made and shared the same “saw-tooth” scheme for adjusting the distance of the bells from the striker. To same costs, a single solenoid was used with a variable resistor to control the volume of the second door. Notes ElectraChime Collection. Cover and Mechanism refinished. Bells original.